Scotch-Brite™ Green No.96 General Purpose Scouring Pad is ideal for most common cleaning jobs. 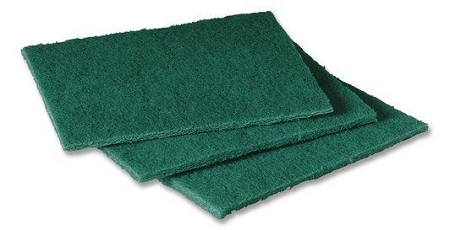 Scotch-Brite™ General purpose scouring pad in green color measuring 9" x 6" is ideal for most common cleaning jobs. 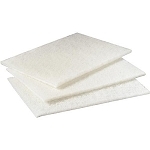 Pad is used for kitchen and cooking equipment, walls, railings, floors, desks, stairways, counters and maintenance equipment.